It’s a great day for Chardonnay. Chardonnay is the most popular wine grape in the United States and is also a very versatile, food-friendly varietal. This green-skinned grape variety originated in the Burgundy wine region of France, but is now grown wherever wine is produced. The grape itself is neutral, so many of Chardonnay’s characteristic flavors come from other influences like terroir and oak. Climate also has a major impact on taste. In cooler climates, Chardonnay is often medium to light bodied with noticeable acidity and flavors of apple, pear and green plum. In warmer locations, the flavors lean towards citrus, melon and peach. In very warm locations, you might notice a hint of fig and tropical fruit notes like mango and banana. California is known for its Chardonnay, a romance that began in the 19th century with German immigrant C.H. Wente. He is famous for bringing a Chardonnay clone from Burgundy to America in 1912—a clone that would become the source for 80% of American Chardonnay plantings today. The Wente Clone has bold fruit characteristics with notes of apple, pear, stone fruit and citrus. Celebrate Chardonnay with us this month and try a few of our favorite selections! 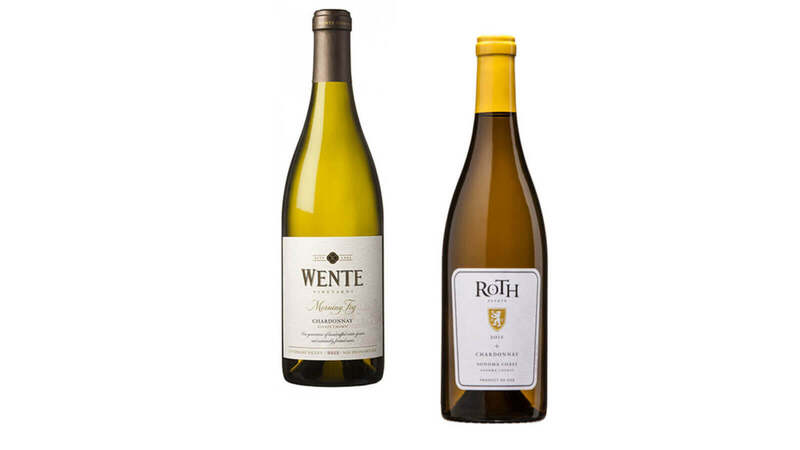 Wente Morning Fog Chardonnay A favorite from fifth-generation winemaker Karl Wente, Morning Fog features bright, crisp flavors of melon, citrus, pear and green apple balanced by subtle notes of oak and vanilla from barrel aging. All of Wente’s wines are 100% estate-grown and certified sustainable, so it’s a sip you can feel good about. Roth Chardonnay Fruit for this wine was selected from vineyards in the coolest parts of the Sonoma Coast. Bold tropical fruit and crisp apple aromas open up to creamy hints of vanilla. Bright and crisp on the palate with flavors of yellow apple, pear, ripe pineapple and orange blossom, each elegant sip is balanced by toasty oak. Ca’ Momi Napa Chardonnay This bold wine is handcrafted in the Napa Valley. Aromas of raspberry, plums and smoke lead to plush layers of dark Bing cherries, sweet vanilla and chocolate. Fresh red and golden delicious apples and hints of citrus fill the palate. Balanced creaminess and food-friendly acidity make this an easy wine to sip and savor. 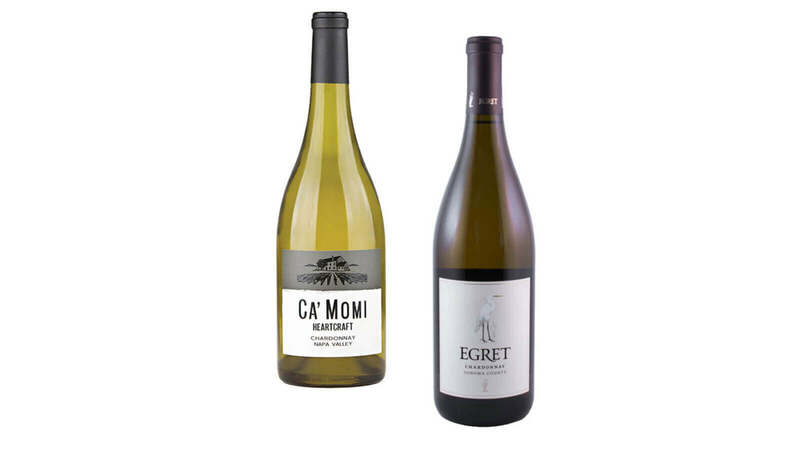 Egret Chardonnay Handcrafted from vineyards in Sonoma, California, these wines help protect the great Egret that was hunted to near extinction in the early 20th century. On the palate, flavors of pineapple, apricot, peach and citrus mingle harmoniously. Each sip is rich and flavorful, with notes of toast and butter on the smooth finish. Merryvale Carneros Chardonnay Vibrant gold in color, this wine is brimming with bold aromas of ripe, sweet pear, golden delicious apple, pineapple, toffee and vanilla. Balanced bright fruit notes lead to a fresh and delicate wine. Its flavors and aromatics are accented by complex barrel notes, leading to a lengthy, elegant finish. 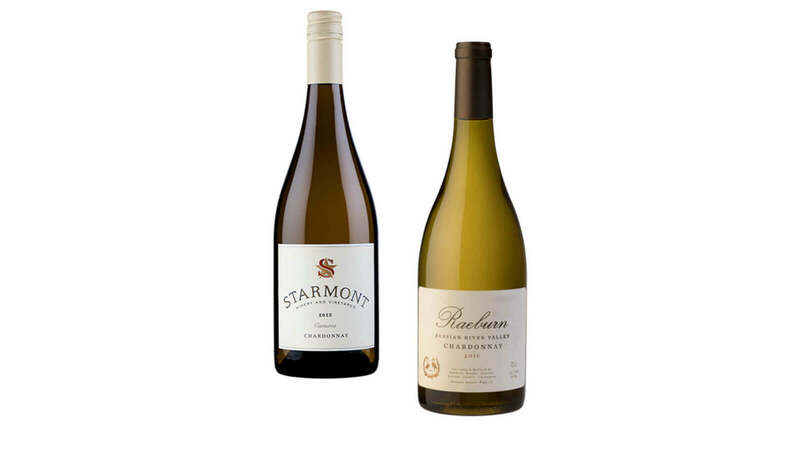 Raeburn Russian River Chardonnay Soft and alluring, this Russian River Valley Chardonnay offers a complex array of fruits, including apple, pear and nectarine. Fruit flavors and aromas are balanced by toasted oak, vanilla and a hint of crème brûlée with an elegant, creamy finish. 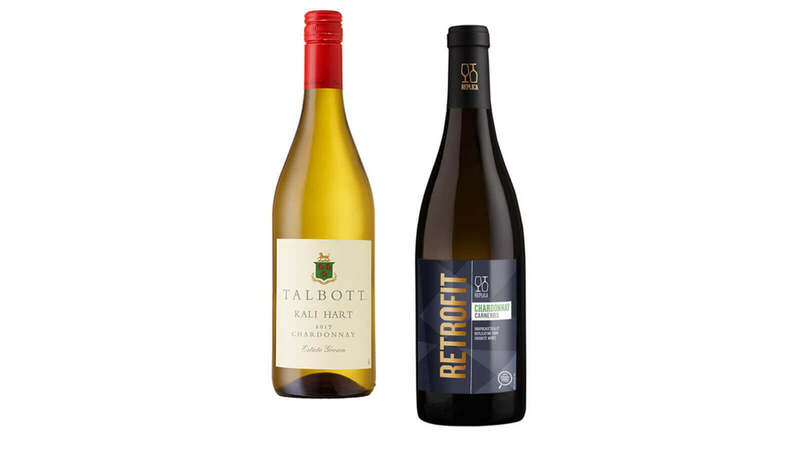 Talbott Kali Hart Chardonnay This fruit-forward wine comes from the cooler climates of the Monterrey region. Aromas of vanilla bean and buttery brioche lead to notes of mandarin, melon and pineapple. Tropical fruit flavors are followed by a soft, delightfully clean finish with a touch of minerality and spice. Retrofit Chardonnay From the northern coast of California, this wine boasts compelling aromas of bright citrus and melon. On the palate, ripe fruit flavors of kiwi, pear and honeydew run wild. The finish is rich, creamy and refreshing with notes of spice, vanilla and a touch of buttery sweetness. Mer Soleil Chardonnay This golden, medium to full-bodied wine opens up with fresh, tropical scents of pineapple and citrus blossom balanced by smooth vanilla. On the palate, white peach mingles with a vibrant acidity. The finish is long and lingering with a well-balanced blend of oak, butter and fruit. 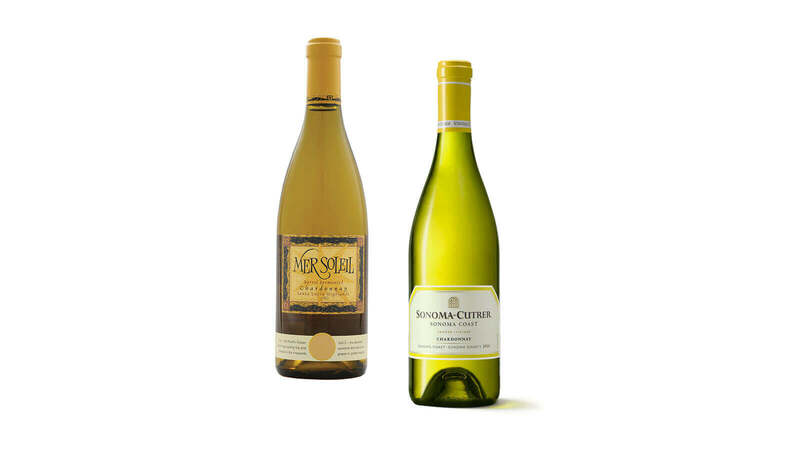 Sonoma Cutrer Sonoma Coast Chardonnay Aromas of nectarine, stone fruit, white peach and oak are accented with hints of vanilla, toasted nuts and a touch of caramel. This Chardonnay is medium-bodied, with rich yet elegant flavors and aromas. The long, silky finish is creamy, with notes of cinnamon and spice.